highest standard of oral health care. Continuous improvement in a patient-centered environment. Increase access to high value oral healthcare (exceptional care at fees below the market average). Provide oral healthcare in a manner consistent with improving the quality of life for the patients we serve. Recruit and retain exceptional health care talent. Foster an environment which encourages the personal and professional growth of our team. Develop and train future dental professionals with our educational partners. 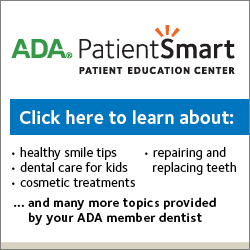 Lead the dental profession toward continuous improvement and patient safety. Cultivate an environment of political and social relevance with regard to the needs, outcomes, and benefits of dental community health. Collaborate with all healthcare professionals to create an awareness of the importance of oral health. Social Entrepreneurship – We believe in constantly seeking creative thinking and innovative solutions to improve the delivery of dental services. Respect – We treat all individuals with the highest regard and demonstrate it through consideration, appreciation, empathy, inclusion, and compassion. Excellence – We strive to continuously provide the highest quality services and to exceed the expectations of our patients, staff, and the community. Honesty – We are fair, straightforward, credible and free of deception in everything we do. Learning – We will constantly gain knowledge and understanding, always striving to make well-informed decisions and taking the best course of action for our patients.